Contractions ? Better muscles ? What is your goal at the gym, lift the heaviest weight possible or have volume and be dry ? For me it’s to have volume, be dry and have power, otherwise I would do Powerlifting. 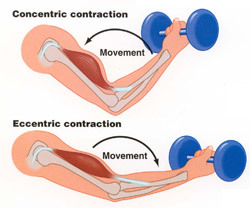 To achieve this, I focus to get the highest quality of muscle contraction on each rep.
For example for the curl, I tell to myself that I contract my biceps to move my arm rather than I move my arm to move the weight, it changes the whole mindset. Once a coach has helped me and during reps, he tapped me the muscle that I had worked to stay focused on it. I tell you, congestion is not the same you’ll be surprised. This is something that is learned as the technique. At first, the ideal is that you start with lightweight to feel your muscles during movements. Then you increase the weight in each series. When you can’t feel your muscles working, it means the weight is too heavy, it’s necessary to decrease a little so that you can feel your muscles work again. 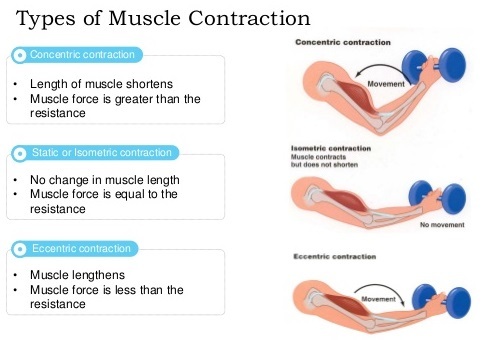 Biomechanics experts often speak of the benefits of leverage with your muscle and you can do it, lift heavy with minimum effort but we want the opposite. For example your shoulders, more you bent your elbows on lateral raise or fly and more it’s easier to raise the weight. But when you stretch your elbows just to be slightly bent, chest and middle delts are forced to work harder and your muscles will grow faster. You surely already know, the more you do the exercise slowly, the harder it is. 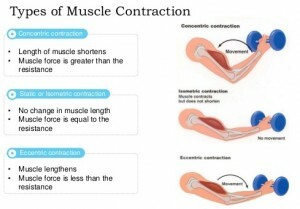 Slow down the speed improves the concentric and eccentric effect, which allows to have optimal contraction. I don’t mean you should do all your exercises in “slow motion” but do some sets like this can help you to have better results. A technique used by bodybuilders is to keep your muscles contracted for 2 seconds at the end of each rep. I warn you, if it’s something new for you, may be you can’t be able to do your usual number of reps, you’ll really really feel your muscle there. I’m never going to say to abandon barbells and dumbbell for cables equipment but this is an excellent complement. The constant tension on your muscles with cables boost the quality of each contraction. Try and tell me what it did to you. I’m sure you’ll feel your muscles differently and your congestion will be demonic. Contractions ? 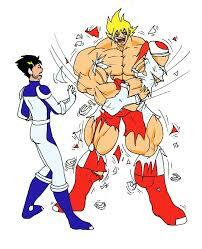 Meilleurs muscles ?